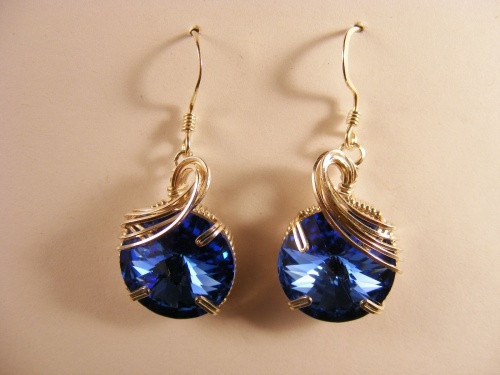 This pair of crystal rivoli earrings is scutlpted in sterling silver swoops to enhance the crystals. Bright and sparkly deep blue. Unique and enchanting. Sure to make you feel special when being worn.